Garden Design Portfolio. Leicester, Nottingham, Loughborough, Derby, East Midlands. Garden and Landscape Design Leicester, Loughborough, Nottingham, Derby and across the East Midlands. Garden and Landscape design services to commercial and domestic clients. 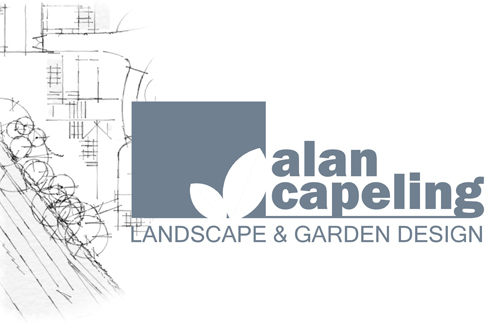 Dealing with all aspects of Landscape and Garden design from an initial design brief to concept drawing, presentation plans, construction drawings, planting plans, and illustrations. Domestic and Commercial design commissions all over the UK, London to Liverpool, Leicestershire to Leeds, Rochester to Rutland. Experienced in Design and Construction of Landscape and Garden projects from small town Gardens to Hospitals, Schools, Care homes and Country Houses. Contemporary, Modern and Traditional design ideas. This site features Garden and Landscape Design projects from all over the Midlands, Leicester, Nottingham, Derby and further afield. Contemporary and traditional landscape design, garden design and Landscape architecture all over the UK. Leicester, Nottingham, Derby, Loughborough, Ashby de la Zouch, Birmingham, Market Harborough. Garden design and Landscape design in Contemporary, Modern and Traditional styles working for Domestic and Commercial clients. Leicestershire, Nottinghamshire, Derbyshire, Staffordshire, Warwickshire, Northamptonshire, Rutland.Commercial Landscape Designer and Landscape Architect in Leicestershire, Leicester, Loughborough, Nottinghamshire, Nottingham, Derby, Derbyshire and nationwide including free-lance commisions for Architects, Property Developers, Building Surveyors, Local Councils and Education Authorities. Leicestershire, Nottinghamshire, Derbyshire, Staffordshire, Warwickshire, Northamptonshire, Rutland. Landscape architecture, Leicestershire, Nottinghamshire, Derbyshire, Rutland, Contemporary, Modern and Traditional Landscape and Garden Design in Leicester, Nottingham, Derby and across the Midlands. Based in Loughborough in the East Midlands between Nottingham and Leicester and very close to Derby, Ashby de la zouch, Coalville, Melton Mowbray, Burton, Tamworth, Lutterworth. Leicester and Leicestershire, Nottingham and Nottinghamshire, Derby and Derbyshire, Oakham and RutlandContemporary and Modern Garden Design, Landscape Design and Landscape Architecture. Leicester, Nottingham, Derby and all over the Midlands.